The Winter Cymbidium Orchid Show will also include a plant raffle, potting demonstrations and a sausage sizzle. Ezi-Gro manager Rosa Butti said the new crossing of orchids had never been released before. ‘We’ve been trying to breed different colours and sizes and hoping to get something different ” people are interested in new varieties,’ she said. 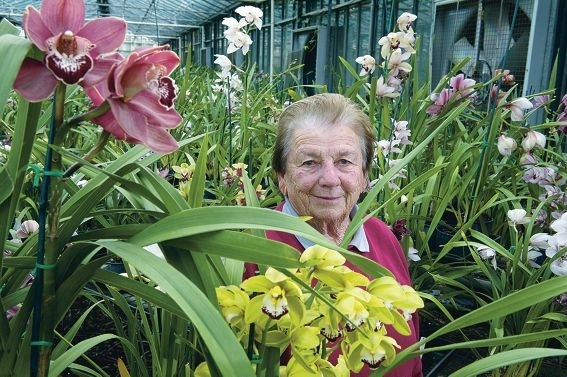 She said most people started growing Cymbidium orchids and then moved on to planting other types. ‘They are easy to grow and reward you with beautiful flowers,’ she said. She said this was the best time of year for Cymbidium orchids because their flowering season is from the end of May until November. The show runs from 9am to 5pm, July 26 and 27 and 9am to 4pm, July 28 at Ezi-Gro.